Not everything we make here at PAC has to do with alpaca fiber. After success with alpaca compost in raised garden boxes, we worked on improving our indoor plants with this nitrogen-rich “black gold”. We spent some time figuring out a process for drying and grinding to get it just right and began selling house plant soil enhancer. 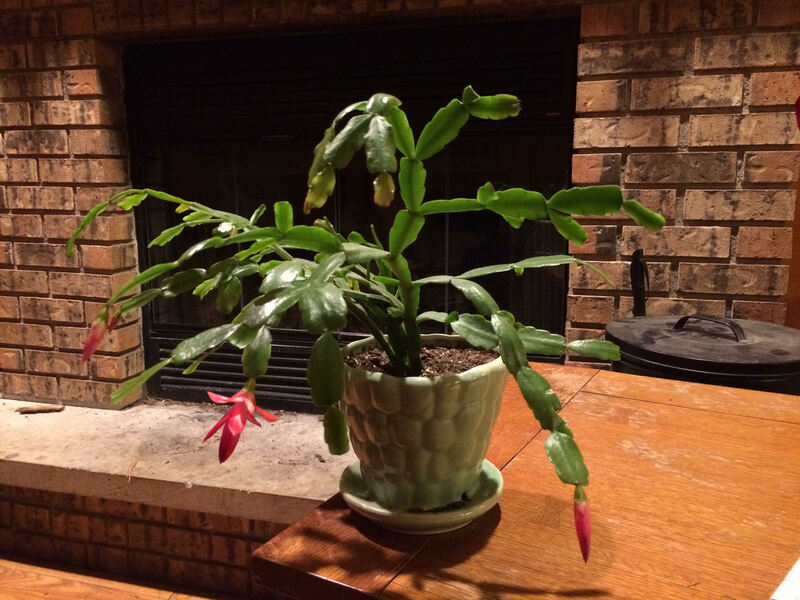 We were recently contacted by Lori to tell us the tale of her Christmas cactus, and how it is thriving with alpaca compost. 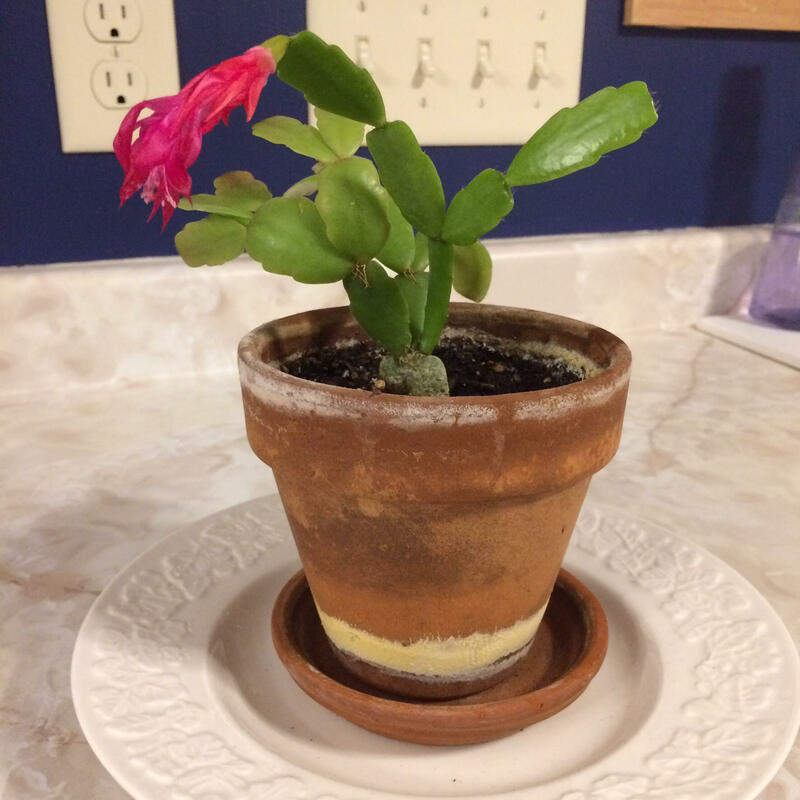 “I thought I’d send you pictures of my Christmas cactus and it’s sister. (I’m the person that needed more Pac-A-Poo.) These Christmas cactus are from the same mother plant (which is over 100 years old) and started the same time. At one time they were almost identical. The little one never had any fertilizer. The larger one is mine and had Pac-A-Poo for over a year. Today it has 4 blossoms on it and has really grown! 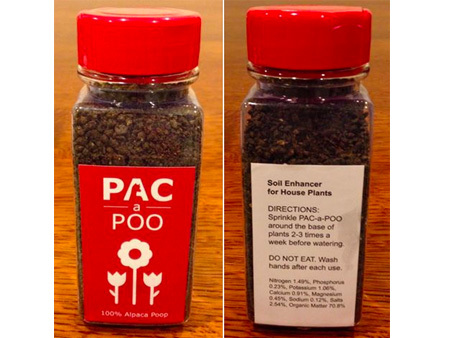 I gave my sister some Pac-A-Poo this year so we’ll see how it fairs. Thanks for a great product!!! A small amount mixed into your potting soil will gradually release nutrients as you water your house plants. It is odorless and will not burn your plants. Reading Natural Gardening with Alpaca Compost will give you more detailed information about large quantities.